You will be delighted with the various fun things to do in Cartagena that will please all of your senses and bring to light the importance of this 500 year old city. Options range from exciting water sports to walking the streets viewing historic architecture to learning about the indigenous culture that preceded the Spanish Conquest. You can visit old fortresses, play like a 17th century pirate or you can travel to a pristine white sand beach. Other attractions include numerous museums, learning about the culture through food and you can even make your own chocolate bar. There are excursions that will have you skydiving, learning about the Spanish Inquisition or you can decide to visit one of the many gorgeous churches. No matter what you are looking to experience there is bound to be the perfect excursion for you and your family. If you are searching for an overview of the city which allows you to view museums, historical buildings and a natural phenomenon then the best thing to do in Cartagena for all types of travelers is to try a Sightseeing Tour. You have a wide variety of excursions to choose from that will have you walking the streets of Old Town Cartagena, the Getsemani neighborhood, the Totumo Volcano and the various old fortresses like the San Felipe de Barajas Castle. Other options will have you strolling through museums like the Museo del Oro Zenu, Rafael Nunez House Museum as well as the Museo de Arte Moderno. You can also choose a variety of transportation options from a horse drawn carriage to a comfortable coach to your own two legs. Whether you want to experience the historical architecture or tasting local treats there is a perfect tour for everyone. 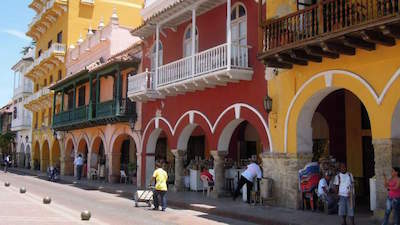 When you are interested in learning and experiencing more about the local mixture of cultures then an ideal thing to do in Cartagena is to take a Cultural Tour. 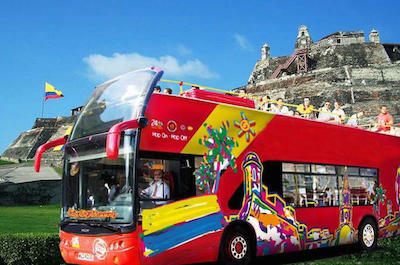 There is a great assortment of these excursions that will help you to understand the quality of culture that exists in the city of Cartagena and will familiarize you with the many UNESCO world heritage sites that abound here. You can decide to walk through Bazurto Market or take a bike ride through the Walled City and you can even try a day trip to view incredible bird species that call the area home. Other options include learning more about Bantu African lifestyles at San Basilio de Palenque and you will be thrilled to hang out with locals around Plaza de Bolivar. There are emerald jewelry making classes, excursions that concentrate on art and you can even spend a day at Playa Blanca to soak up some sun. One of the most popular things to do in Cartagena for people who like historic buildings, culture, food and history is to try one of the several Walking Tours. You will be pleased with the vast assortment of excursions that you can choose which range from walking within the Walled City to Old Town Cartagena to exploring the various neighborhoods which are packed with Spanish colonial style homes and buildings. During your tour you will learn about the history of this 500 year old city, view historic architecture like the Palace of Inquisition and the Torre del Reloj as well as visit local markets that are packed with exotic fruits and spices. You can choose from an expert guide or a Zenu guide who will inform you of the indigenous cultures that lived in the area befor the Spanish Conquest. 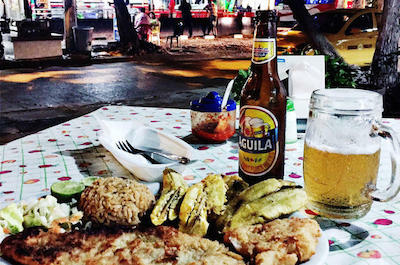 One of the best things to do in Cartagena to learn about the mixing of different cultures that have influenced the city is to take a Food Tour. These excursions are fabulous for families and foodies alike that are interested in learning more about the vibrant cultures of the area. You can take a stroll through the open air Bazurto Market where you will find exotic fruits, fresh seafood and numerous spices from around the world. 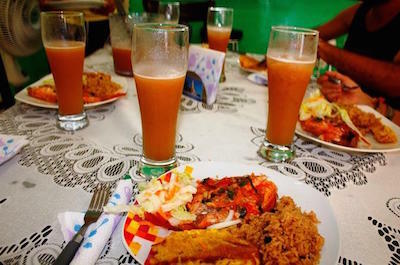 You can indulge in exotic foods from Africa, Spain and the numerous Indigenous groups around the area while learning more about the history of Cartagena. During these tours you can visit the Las Bovedas or the Getsemani neighborhood where can try delicacies such as pandebonos, pasteles de pollo, arepa de huevo and a nice cup of tinto coffee. 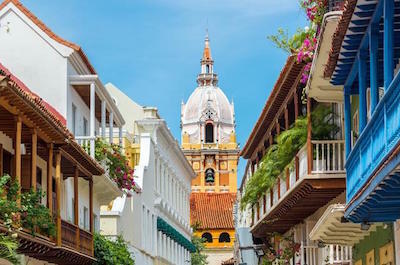 If you are interested in a leisurely stroll through the oldest part of the city that includes incredible colonial architecture and a sense of years gone past then the best thing to do in Cartagena is to visit Old Town Cartagena. Located in the heart of downtown, Old town Cartagena is a remarkable area of the city packed with entertainment and culture that is sure to please everyone. You can walk the streets of brightly painted colonial buildings where you can take a break at Plaza de Bolivar or continue your journey until you reach the Torre del Reloj which marks the entrance to the historic Walled City of Cartagena. 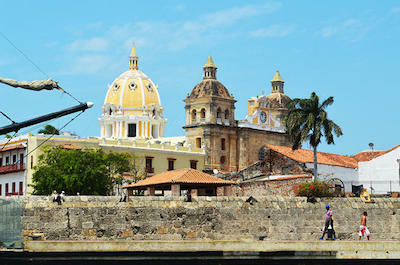 Also within Old Town Cartagena you will find numerous attractions that range from the Museo Historico de Cartagena de Indias which is housed in the Palace of Inquisition, the Museo de Oro Zenu where you can view numerous pieces of intricate art made of gold and you can walk through the beautiful Cartagena Cathedral. When you are tired then you can try one of the many restaurants in the area and while you are eating you will be thrilled with the vibrant street vendors as well as performers. When you need to find a seat while still taking in the sights of numerous historical buildings then a superb thing to do in Cartagena is to stop at Plaza Bolivar. Located along Calle 33 and Carrera 4 in downtown Cartagena, the Plaza Bolivar is surrounded by numerous historical colonial style buildings that include the Palace of Inquisition, the Walled City of Cartagena as well as the Cartagena Cathedral. Once known as the Plaza de la Inquisition, Plaza Bolivar is an urban green space filled with trees, walkways as well as benches where you can rest while you enjoy a beverage in the shade and there is a great bronze statue of the liberator Simon Bolivar that has graced the plaza since 1896. The plaza has been instrumental to the city over the years and is a favorite place for locals to mingle. There are a number of museums adjacent to Plaza Bolivar which include the Museo del Oro Zenu and the Museo Historico de Cartagena de Indias which is housed in the Palace of Inquisition. When you want to understand more about the early slave trading days of the city while learning more about the person who is considered to be the first human rights activist in Americas, then the only thing to do in Cartagena is to stop at the Cathedral of San Pedro Claver. Located on Carrera 4 near the Parque de Marina inside the Plaza de San Pedro Claver, the Cathedral of San Pedro Claver was constructed from 1575 to 1654 with a Spanish Colonial style and has three distinct towers including a bell tower in the center. Today the Cathedral of San Pedro Claver gives homage to San Pedro Claver who was a monk that fought for human rights for the thousands of slaves he baptized that were sold at the Plaza de Yerba. Inside the cathedral you will find beautiful stained glass and an altar of Italian marble where the remains of San Pedro Claver rest in a glass coffin. In addition to the cathedral there is a museum onsite that is packed with exhibits that include a large collection of Afro-Caribbean art, African masks and pre-Columbian ceramics. 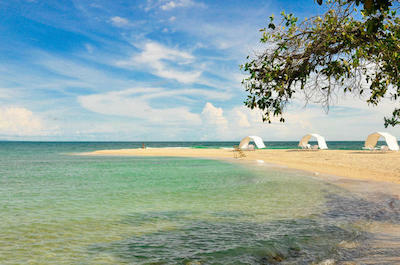 If you are interested in the ecosystem of the Caribbean Sea and like pristine white sand beaches then a great thing to do in Cartagena is to take a trip to the Rosario Islands. Located 62-miles southwest of Cartagena in the Caribbean Sea, the Rosario Islands are an archipelago that consists of 28 islands and is one of Columbia’s most notable National Parks which is surrounded by the third largest barrier reef in the world. The Rosario Islands are a haven for water sport enthusiasts that want to indulge in activities from snorkeling to scuba diving to fishing to swimming as well as for beach goers who are seeking idyllic white sands of paradise. You can visit a number of the islands within the Rosario Islands such as Isla Grande, Isla Pirata and Isla Rosario where you can walk through an incredible aquarium as well as an open-sea oceanarium. Other interesting sightseeing opportunities exist on the boat ride to the Rosario Islands where you can view the San Fernando and San Rafael forts which were constructed by the Spanish in the 18th century. When you want to see one of the most impressive old forts in the Americas which is packed with history then the perfect thing to do in Cartagena is to visit the San Felipe de Barajas Castle. Located a top the San Lazaro Hill at 135-feet above sea level, the San Felipe de Barajas Castle or Castillo San Felipe de Barajas was constructed in 1536 and expanded over the years until 1763. The San Felipe de Barajas Castle is a massive and impressive stone structure that oversees the entry of Cartagena by land as well as sea and the castle was instrumental in defeating the English during the Battle of Cartagena in 1741. Today you can walk through this imposing piece of engineering marvel that is complete with bunkers and parapets that are armed with 68 cannons which are connected by numerous underground tunnels throughout the hillside. The San Felipe de Barajas Castle offers numerous exhibits on the history of battles fought at Cartagena which was considered to be a crown jewel city to occupy by both the Spanish and English during times of war. When you are ready to mix dining, entertainment and shopping with a historical structure of the Walled City, then the best thing to do in Cartagena is to plan a trip to the Las Bovedas also known as the Vaults. Located in the northeast section of the Walled City between the forts of Santa Catalina as well as Santa Clara, the Las Bovedas were originally constructed from 1789 to 1795 to store provisions and were later used to house prisoners. Today the 23 vaults and 47 archways at Las Bovedas are an entertainment mecca from shopping to restaurants to small watering holes. 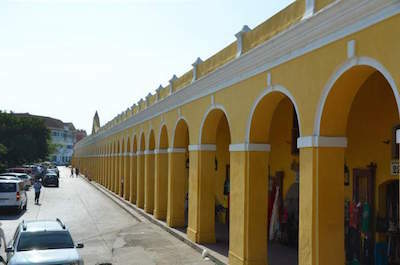 The barreled ceiling structures are home to numerous vendors of Columbian arts and crafts as well as some of the finest galleries and eateries in Cartagena. Once at the Las Bovedas you can immerse yourself in finding that perfect souvenir while you enjoy a cold libation and there will be numerous photographic opportunities of the historic Walled City. If you want to combine the grisly history of the Spanish Inquisition with an outstanding historical building then a perfect thing to do in Cartagena is to visit the Palace of Inquisition. Located in Plaza de Bolivar, the Palace of Inquisition was completed in 1776 and is considered to be one of the finest examples of Late Spanish Colonial architecture with Baroque accents within Cartagena. The Palace of Inquisition has fantastic details such as hand carved balconies of wood and huge gates of carved stone. When the Palace of Inquisition was constructed the building housed the Court of the Holy Office which was instrumental in prosecuting heretics who were guilty of witchcraft, magic and sacrilege acts toward the Catholic Church. Today the Palace of Inquisition houses the Museo Historico de Cartagena de Indias which exhibits many of the torturing devices used for execution during the Inquisition from 1776 until 1821. The Museo Historico de Cartagena de Indias also has a vast collection of artifacts from cannons to historical maps to pre-Columbian ceramics as well as an excellent diorama of the city that includes cut-outs that explain the construction techniques on many of the buildings within the city. When you want to experience the best views of the surrounding area as well as a fantastic historic site then an ideal thing to do in Cartagena is to stop at El Convento de la Popa. Located in the Lomas de San Blas neighborhood just east of the Walled City, the Convento de la Popa is situated on a hilltop that is 500-feet above sea level and was originally constructed in 1607 which would be later replaced by a splendid Spanish colonial style building. Once at El Convento de la Popa you will experience flower-filled gardens along with the spectacular views afforded from high atop the hill. The El Convento de la Popa was built in honor of Nuestra Senora de la Candelaria and she is celebrated inside the monastery with a gorgeous gold altar as well as a festival on February 2nd of each year. Another interesting sculpture within the monastery is a statue of Padre Alonso Garcia de Paredes and five Spanish soldiers who were murdered while trying to spread the word of God. If you are looking for a relaxing time outside the city then the best thing to do in Cartagena is to plan a trip to the Totumo Volcano also known Volcan de Lodo El Totumo. Located 1-hour north of Cartagena in the Santa Catalina region, the Totumo Volcano is the smallest volcano in Columbia and boasts an opportunity for travelers to relax their weary bodies in a soothing mud bath. 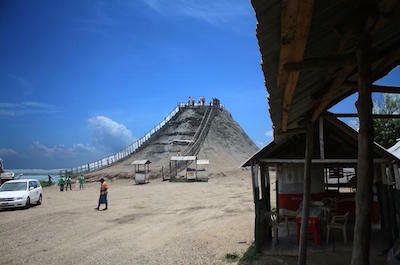 Totumo Volcano has a cone that is 50-feet in height and is accessed by climbing a staircase to the top of the cone where you will find a dense mud that is ideal for bathing. The inside of the cone is wide enough to accommodate 20 or more travelers who are searching to relax and rejuvenate their bodies. Local legend believes the volcano was tamed by a local priest from spewing lava, ashes and fire into the sky to a calm warm mud volcano. While you are bathing in the mud there are messages available and you can enjoy the panoramic view of the area. When you are finished you can rinse off in a nearby lagoon to cap off a perfect experience. 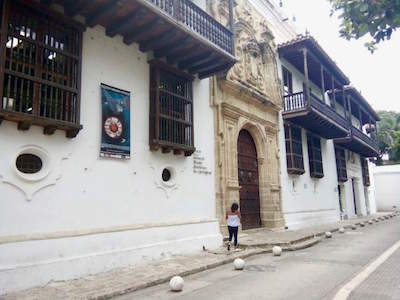 If you are interested in traveling back in time then an ideal thing to do in Cartagena is to make a stop at the historic Rafael Nunez House Museum. Located in the El Cabrero neighborhood along Carrera 2, the Rafael Nunez House Museum was constructed in 1858 with a white and green Caribbean-Antillean architectural design. The Rafael Nunez House Museum plays tribute to Rafael Nunez who was a four time president of Columbia and not only wrote the first Columbian Constitution in 1886 but he also penned the Columbian national anthem. The Rafael Nunez House Museum is packed with the former president, poet and lawyer’s personal belongings from library books to paintings to sculptures to period furnishings that bring the house to life. While you are there you can visit the chapel across the street which is Ermita del Cabrero where you will find the ashes of Nunez and family members. If you want to view one of the most notable landmarks within the city then a superb thing to do in Cartagena is to plan a trip to the Cartagena Cathedral also known as the St. Catherine of Alexandria Cathedral. Located within the historic Walled City near Parque de Bolivar, the Cartagena Cathedral has the distinction of being the oldest church within the city with construction first starting in 1537. After a fire destroyed the original Cartagena Cathedral and Sir Francis Drake sacked the city in 1575 the present day church took some 80 plus years for the construction to be complete. The Cartagena Cathedral was designed by Simon Gonzalez after the basilicas in Andalusia and the Canary Islands. The cathedral has an interesting bright yellow Colonial façade that features a domed clock tower that was designed many years later by French architect Gaston Lelarge. The inside of the church features a gilded altar, numerous hand-painted frescos and a stunning marble pulpit. Today there are still daily services as well as guided tours through this remarkable piece of history. 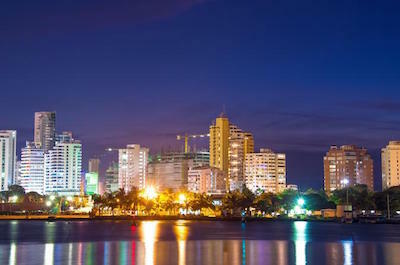 Whether you want to party or just view the superb Spanish colonial architecture of the city in the evening then a great thing to do in Cartagena is to schedule a Nightlife Tour. These excursions are packed with traditional culture of the area from learning how to dance Salsa while enjoying a few beverages to listening guitarists on the street serenade you as you ride in a horse drawn carriage. During these tours you can indulge in a candlelight dinner, learn the history of architecture within the city and you can even support a worthy non-profit. Other options have you riding in a comfortable coach from one hot spot to another hot spot in search of that perfect night club in Cartagena in which there are many waiting to please all of your fancies from dancing to eating to drinking. One of the more intriguing things to do in Cartagena for people and foodies who like to experience culture by mixing a few ingredients is to try a Cooking Class Tour. The city of Cartagena has many unique markets that you will visit before you step foot into the kitchen to prepare a world class meal with the guidance of a local chef. The local markets are packed with interesting ingredients that range from fresh seafood to exotic fruits to incredible chocolate and unique spices as well as traditional entertainment like music. You will have the opportunity to visit with friends or make new friends as you prepare an authentic Columbian meal that is from a family recipe and features traditional cooking techniques. When you are finished cooking you can enjoy your meal with a cold libation of your choice. An ideal thing to do in Cartagena for people who want to get out on the Caribbean Sea and explore the surrounding area is to take a Cruise and Sailing Tour. You will be delighted with the various options that you can choose that are perfect for families, partiers and romantic couples. There are excursions that will take you island hopping for the day where you can visit the Rosario Islands, Tierra Bomba and Baru or you can choose to go sailing on a luxury sail boat during the day and there are sunset cruises that will have you in awe as the sky turns into a canvass of colors. Other adventures include a party cruise on a 55-feet luxury yacht, private boat rentals and you can add-on options like snorkeling or kayaking to complete your adventure. There are several great Outdoor Activities for you to experience that are a great thing to do in Cartagena for all types of travelers. 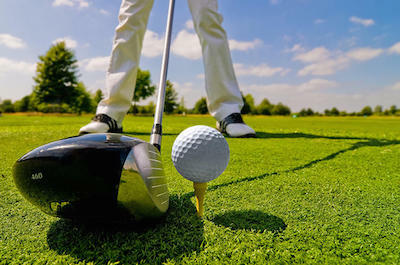 These excursions can have golfing at the prestigious Jack Nicklaus designed Karibana Beach Golf Club where you can admire the blue hues of the Caribbean Sea. You can decide to take a skydiving tour that will have you jumping with a qualified expert from 5,000-feet as you take in the incredible bird’s eye view of the landscape below. Another option is fishing where you can sail on a luxury boat to the best fishing spots in the area where you can catch the snapper or marlin of your dreams as well as visit stellar beaches like Tierra Bomba. When you want to experience the Caribbean Sea like never before then an ideal thing to do in Cartagena for water enthusiasts is to take a Water Sports Tour. You will be delighted with the variety of excursions that are available for novices and experts no matter which water sport you decide to try. 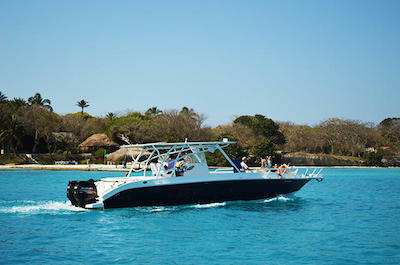 You can go snorkeling at the Rosario and Cholon Islands or spend a day at Playa Azul. There are options for kitesurfing, fly boarding and you can go standup paddleboarding. 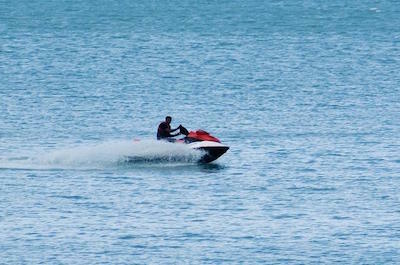 Other exciting water sports include scuba diving at the San Bernardo Reef, jet skiing as well as sailing on the Caribbean Sea. Whether you have 30-minutes or a full-day to explore there is a perfect excursion for you and your family. 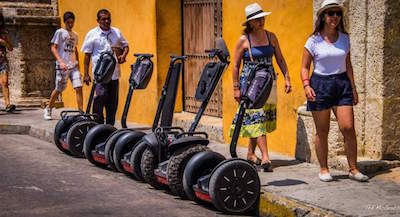 One of the best things to do in Cartagena for travelers that want to see as many sights as possible without the headache of walking is to try Segway Cartagena. Touring the city on a Segway is a great option when you want to pack the viewing of the many historical places, buildings and monuments that reside within Cartagena. There are a variety of excursions at Segway Cartagena that allow you to visit places like the Walled City, the Customs Plaza, the Inquisition Palace, the Gold Museum and the Naval Museum of the Caribbean. While you are gliding around the city you can listen to an expert guide explain all the interesting facts about Cartagena. Tours last from 60 to 90-minutes and you will receive expert instruction on how to navigate your Segway as well as all of the necessary safety equipment. Visiting the Naval Museum of the Caribbean is a popular thing to do in Cartagena for travelers that like to learn about the culture and history of the early as well as late days of Cartagena. 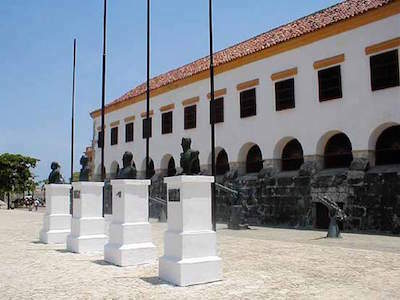 Located within the ancient walled city between the Church of San Pedro Claver and the San Francisco Javier Monastery and Museum, the Naval Museum of the Caribbean has two wings which are dedicated to conserving the historical artifacts and telling the story of the naval history of the Caribbean Sea. 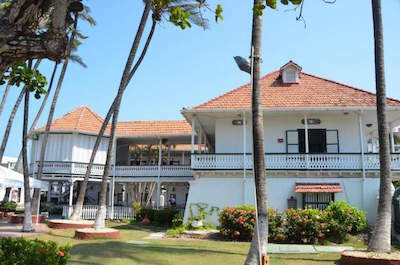 The Colonial Wing is housed in an early 17th century Spanish colonial style building that concentrates on the early colonial days of the navy and the Republic Wing tells the story of the 20th century Columbian Navy. As you walk through viewing the numerous exhibits you will spot historical items such as navigational tools, historical maps, model boats and replicas of cityscapes. Other interesting artifacts on the second floor include weaponry and cannons as well as details of the 300 years of naval wars near the shores of Cartagena from Spanish Conquest to present day. 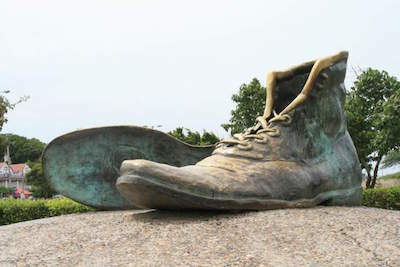 If you are searching for an interesting place to take a photograph then a great thing to do in Cartagena is to visit the Olds Shoes Monument also known as the Los Zapatos Viejos. Located at the base of San Felipe Castle on San Lazaro hill, the Old Shoe Monument is a tribute to local poet and respected South America writer Luis Carlos Lopez. 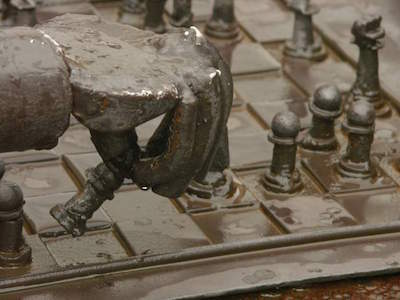 The sculpture of a pair of old boots was envisioned by Hector Lombana and the Old Shoes Monument pays homage to the poem Mi Cuidad Nativa which was composed by Lopez. The old boots represent the final lines of a stanza where Cartagena is compared to a comfortable pair of old shoes. While you are there you can read the entire poem which is presented on a plaque at the front of the sculpture. When you finish you can continue up the hill to tour the old San Felipe Castle. 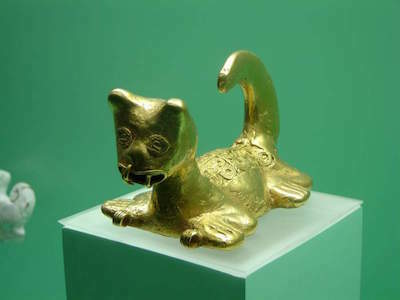 When you are ready to view some intricate pieces of jewelry and learn about the early cultures of the Zenu people then an ideal thing to do in Cartagena is to plan a stop at the Museo del Oro Zenu also known as the Zenu Museum of the Gold. Located in the Plaza Bolivar, the Museo del Oro Zenu is packed with over 600 pieces of unique pottery and gold pieces that were created by the early Zenu people who occupied the region of Columbian around Bolivar, Sucre, Cordoba and the Northern Antioquia before the Spanish arrived. You will be astonished at the craftsmanship of the gold pieces as well as the pottery that represents the early civilizations of the region. Pieces of gold work depict various forms that range from animals to shamans to plants and the pottery has a unique style all to its own. Children will be thrilled with the various exhibitions within the museum that allows for them to understand the importance of the Zenu culture to present day Columbians. If you are interested in artists and artworks of the area then a great thing to do in Cartagena is to visit the Museo de Arte Moderno or the Museum of Modern Art of Cartagena. 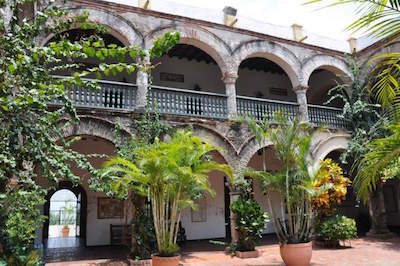 Located in Plaza de San Pedro Claver, the Museo de Arte Moderno is housed in a 17th century building that was originally used as the first Spanish Crown customs office. The Museo de Arte Moderno boasts a great collection of modern and contemporary artworks from Columbian artists such as Enrique Grau and Cartagena native Alejandro Obregon. 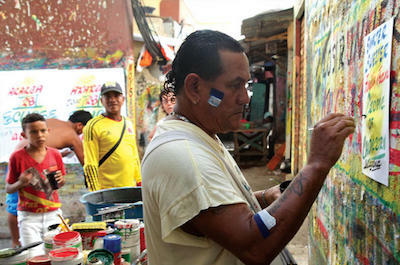 The museum boasts numerous unique art pieces from paintings to sculptures that have been created by Columbian as well as by Latin artists from around the region. The second floor of the museum portrays rotating galleries with artwork on exhibit from younger Columbian artists like Sandra De La Cruz and Gabriel Garcia Marquez. The museum holds a number of workshops including lectures from several well-known artists and collectors from around the area of Cartagena. One of the best things to do in Cartagena for families and foodies is to delight your sweet tooth with a trip to the ChocoMuseo. Located in Parque Bolivar along Calle Velez Danies, the ChocoMuseo is an excellent place to learn about the history as well as processing of cocoa beans. While you are at the ChocoMuseo you can stroll through the museum which has numerous interactive exhibits for you to experience and when you visit you can learn about the life cycle of the cocoa bean from planting to cultivating to processing in a fun atmosphere that is ideal for families. There are several different workshops that are offered which have you making your favorite flavor of chocolate from dark to milk to white. During your classes you will take cocoa beans through the process of crushing the bean until you have a smooth consistent substance that is perfect for molding into bars, truffles and other sweet tasting delicacies made of chocolate. 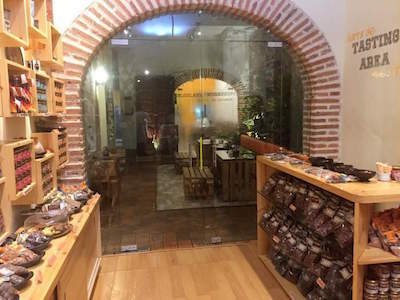 A perfect thing to do in Cartagena for families, foodies and travelers that want to try something sweet as well as unique is to visit the Portal de Los Dulces. Located in Plaza de Los Coches near the Puerta del Reloj, the Portal de Los Dulces is a row of brightly painted houses with colonial style arches which is similar to a market place. The Portal de Los Dulces offers hand-made sweets by local food artisans from candies to cakes to pastries that have a variety of flavors that reflect the exotic fruits and different chocolate styles available in the region. There are numerous vendors with these delights are situated along the bottom corridor of the arch ways and for a couple of dollars you will be amazed at the flavors of sweets you can enjoy. While you are at Portal de Los Dulces you will have a great view of the Puerta del Reloj from Plaza de Los Coches which was originally a slave trading market and called Plaza de la Yerba. When you want to see a unique church that was the first to be built within the city then an ideal thing to do in Cartagena is to visit the Templo de Santo Domnigo. Located across the street from Plaza Santo Domingo along Carrera 3, the Templo de Santo Domingo was first constructed in 1539 and was situated within Plaza de los Coches. A few years later the church was destroyed by fire and was reconstructed in 1552 at its present location today. 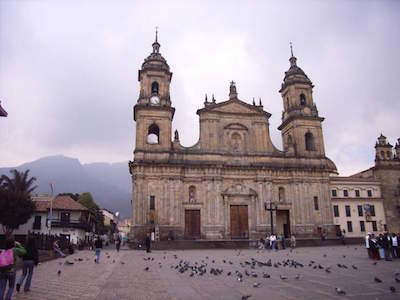 The Templo de Santo Domingo has with a Spanish Colonial architectural design and the bell tower is somewhat crooked. The inside is adorned with a baroque style altar that features a 19th century hand carved wood figure of Jesus and a painting of the Virgin which portrays her with a crown of gold and emeralds. Another interesting aspect to the Templo de Santa Domingo is the grave stones that are used for flooring around the first two rows of pews in the church. When you visit take a moment and enjoy the numerous boutiques as well as restaurants that dot the exterior of Plaza Santo Domingo. When you want to see exactly how a pirate lived while on the high seas then a superb thing to do in Cartagena is to take a trip to the Galeon Bucanero. Located along Avenida Blass de Lezo near Plaza de San Pedro Claver, the Galeon Bucanero boasts a museum, restaurant and a gift shop. The Galeon Bucanero is housed in a replica of a 17th century Spanish galleon that sailed the high seas from port to port in search of riches. Once at the Galeon Bucanero you can learn about life on a pirate ship while you stroll around the decks of the ship and view several exhibits that depict the life of a pirate during the 17th century. When you are at the Galeon Bucanero you can indulge in delightful cuisine at the onsite restaurant and there is also a gift shop that is packed with pirate type souvenirs. The Galeon Bucanero is also available for various events from weddings to birthdays. 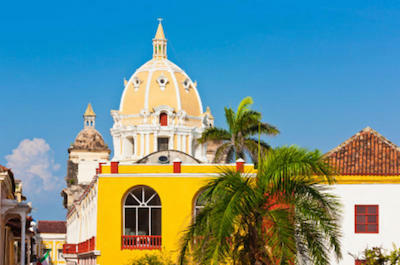 One of the most popular things to do in Cartagena for all types of travelers that like history and historical buildings is to take a trip to the Museo Historico de Cartagena de Indias also known as the History Museum of Cartagena of Indias. Located in Plaza Bolivar, the Museo Historico de Cartagena de Indias is housed in the Palace of the Inquisition which was constructed in the 18th century and was used as the Court of the Holy Office of the Inquisition. Inside the Museo Historic de Cartagena de Indias you will find the Hall of Inquisition as well as the Hall of Human Rights and Coexistence. These two areas are packed with exhibits and artifacts used for torture as well as the execution of those charged with being a heretic. There is also hundreds of artifacts that range from pre-Columbian ceramics to historical maps to weaponry as well as a detailed 200 year history of the city. Other interesting rooms include scaled models of the city’s architecture as well as learn about construction techniques that were used during the building of the city. 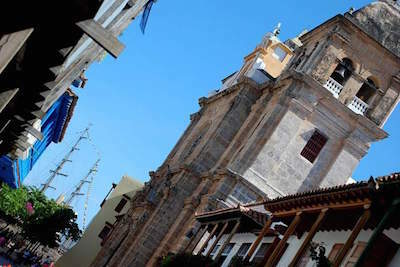 If you are interested in viewing a unique historical church that boasts a splendid architectural style combined with a beautiful interior then the perfect thing to do in Cartagena is to visit the Iglesia de la Trinidad also known as the Church of the Trinity. 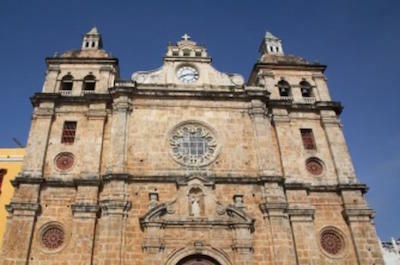 Located in the Plaza de la Trinidad in Getsemani within the Getsemani neighborhood, the Iglesia de la Trinidad was erected around 1643 with a Colonial design that was similar to the Cathedral of Cartagena. The Iglesia de la Trinity features triple naves that form a cross that holds the triumphal arch. Inside you will find large columns supporting half arches and the ceiling has a Mudejar style. The altar is unique with an 1868 painting of Purgatory by Pedro Ortiz Alaix which has Archangel San Miguel instead of the Virgin Mary. The Plaza de la Trinidad in Getsemani is a nice place to relax where you will benches as well as vendors while watch the crowds of people attending church.